Is ThriveCart the World's Easiest and most Powerful Cart Platform? 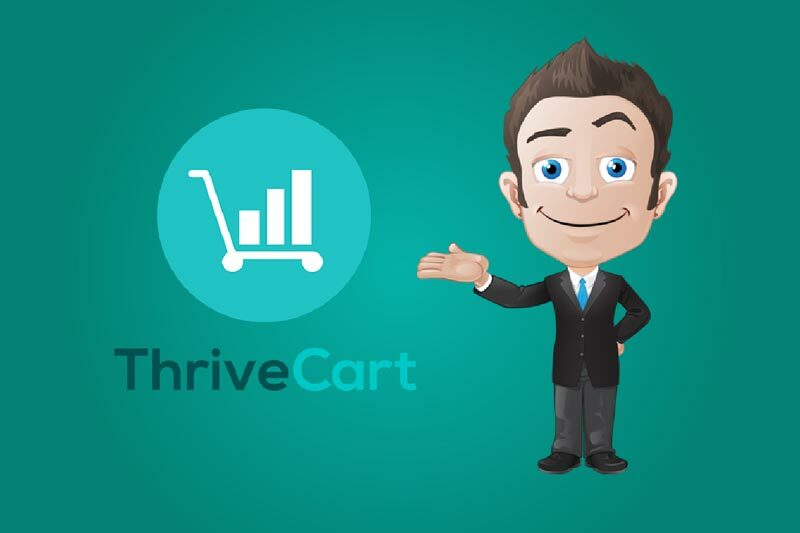 In this Review you’ll discover if ThriveCart Shopping Cart really does live up to the Hype! The EntrepreneursGateway.com Team have tested ThriveCart to the Max in this Definitive Review. Discover how the ThriveCart system stacks up against the Competition and Ratings? What are the Pros and Cons of this system and who should be using it? 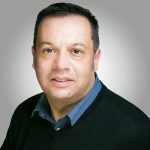 Does ThriveCart get the EntrepreneursGateway.com’s Award as being the best Shopping Cart Platform on the Market? Is it easy to use and is it packed with features? ThriveCart shopping cart software makes selling online services and products easier. The software helps promote your services & products, as well as take payments . Everything you need, all from one place. ThriveCart is easy to use and super clean, even their reporting dashboard (which includes advanced filters) is a breeze. ThriveCart offers thorough documentation, an active Facebook community group, and fast ticket responses. There wasn’t, however, any emergency contact such as phone or live chat support. ThiveCart is offering a lifetime license for a one-time investment fee of $595 (+VAT where applicable), over 70% discount. Compared to other carts which charge about $199 per month; Amazing. Welcome to our ThriveCart Review. These days, as I’m sure you’re aware, there are lots of options available regarding shopping cart software. If you are running a business, or are an entrepreneur, then you will know exactly how important the shopping cart is in selling products and services which will, in turn, impact on your sales. 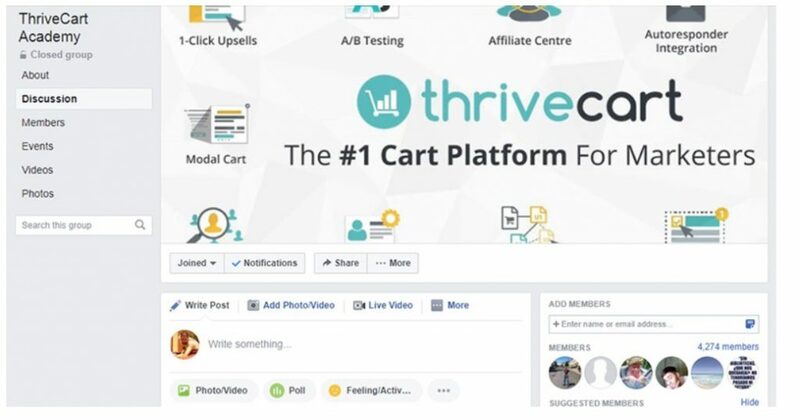 In this review of ThriveCart, I will outline its most important features together with why it is an absolute must for those who are looking for a dedicated shopping cart. The software for ThriveCart was created in 2016 by Josh Bartlett and by undergoing over two years of development, it is still only available via its pilot programme which is payable as a one-time heavily discounted fee. Typically, ThriveCart is seen as the direct competitor of SamCart, which is among the biggest names online and is regarded as the cart of choice. Performance: Will your conversions be boosted by using ThriveCart and what features do they offer to help you make more money? Usability – Does ThriveCart offer everything necessary that users expect from a shopping cart? Support: Does ThriveCart offer quick customer support solutions and help, and can you count on them when it matters most? Cost – Does ThriveCart offer the best pricing in the marketplace? AND more importantly, what deals are available that can help you save money? A user interface that is easy to use and super clean. Integration with all major payment gateways. Can offer flexible payment models including plans, subscriptions, and trials. Granular control over discounts and coupons. One-click upsells and bumps support. Easy to understand reporting dashboard that includes advanced filters. The ever-growing list of integrations with Zapier support. Active FB community group together with detailed documentation. Check out template selection is limited. Limited customization with controversial design elements. Having a shopping cart is really important if you run a small business or are an entrepreneur– something which I’m sure I don’t need to tell you. It can have a huge impact on your sales, so it is imperative that you choose one that makes selling services and products online easy. Of course, selecting the right one isn’t an easy task – as there are so many options available. In this review, I’m going to highlight the features (both good and bad) that ThriveCart has to offer and whether it could be the perfect shopping cart for both you and your business. ThriveCart shopping cart software makes selling online services and products much easier. 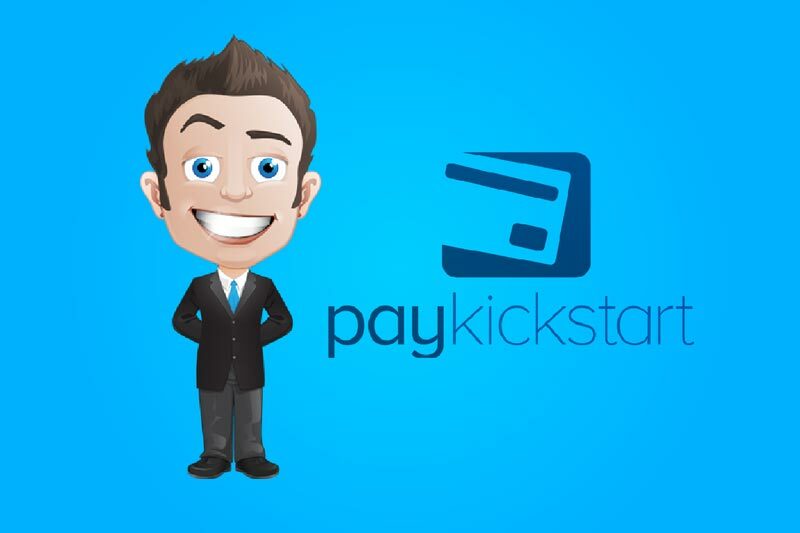 It enables you to take payment for digital and physical products as well as subscriptions from your customers. This shopping cart software is hosted and is ideal for marketers who want to create checkout pages that will convert clicks into sales. They are looking to create the ultimate shopping experience for their clients which in turn will increase profits by hugely impacting on your bump and sell offers. ThriveCart software is integrated with several affiliate platforms like payment processors, email marketing software, webinar and membership platforms. One of the great things about Thrivecart is that as well as using cart templates it also provides the necessary tools to create perfect landing pages to promote your products which will increase customer revenue. In this section, you’ll learn about ThriveCart’s payment integration gateways, how to set up payment processor accounts and how to deal with digital VAT. Good, then let’s get going!! What’s the point of having a high converting cart, if the transactions then go on to fail? Exactly, that’s what I thought!! (chocolate teapot comes to mind). I’m sure, like me, you’ve read stories about carts where the transactions have stopped – mid-way. Definitely, something I want to avoid as I’m sure you do too. Something else to keep in mind when choosing shopping cart software is the way in which recurring transactions are handled. Now, ThriveCart operates with the two major payment processors which are Stripe and PayPal as well as supporting Authorize.net and Apple Pay which makes it much easier for mobile buyers. What I like about Stripe and PayPal is that it gives you the capability to set up direct subscriptions. What this means, is that if further down you decide to change shopping carts, then regardless of which one you choose to use, the subscription payments will carry on rolling in. What a lot of carts do is set up the subscription payments themselves rather than using ones inside of your payment provider, which isn’t good, because as I explained above what will happen is, if you decide to switch carts at a later date, then all the paid subscriptions will stop – nooooo not a good move!! Several carts that I have previously used have conducted their payments in this fashion. I mean Ultracart and Ontraport don’t even correctly set up the customer records for transactions in Stripe. SamCart does offer PayPal subscriptions by using ‘reference transactions,’ this does provide flexibility over schedules and billing amounts, but you suffer the same consequences if you swap carts. And what’s even worse, is that PayPal suggests that reference transactions for subscriptions shouldn’t go beyond two years – after this, they must be restarted. This could create problems for long-term customers as there is the possibility if they are using reference transactions, that the payments could stop after two years. Fortunately, ThriveCart does things properly, which means this is something their users don’t have to worry about. You’d be surprised how many carts actually don’t. 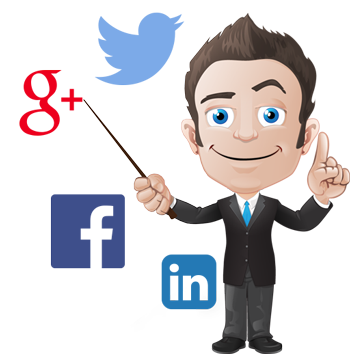 ThriveCart handles VAT like a trooper and even keeps records of your VAT. 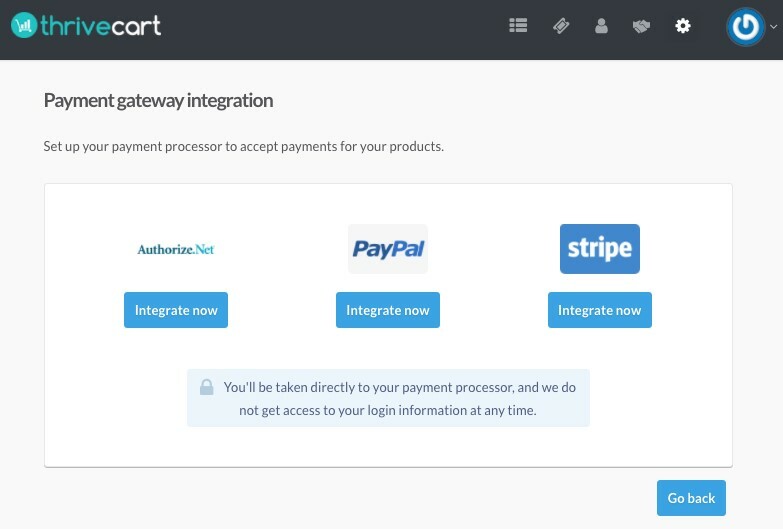 As previously mentioned, ThriveCart allows integration with PayPal, Stripe, and Authorize.Net. For this, you will require a verified business PayPal account. Now, ThriveCart is really kind and informs you that you must go directly to payment processing, it will not, however, receive your PayPal login details. This is a good thing – whether you realize it or not. 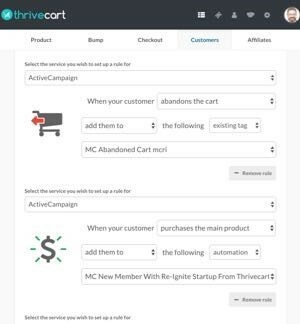 It means that ThriveCart doesn’t want to control you, but instead responds to the subscriptions that you have set up which means you can easily move to another shopping cart should you wish to. 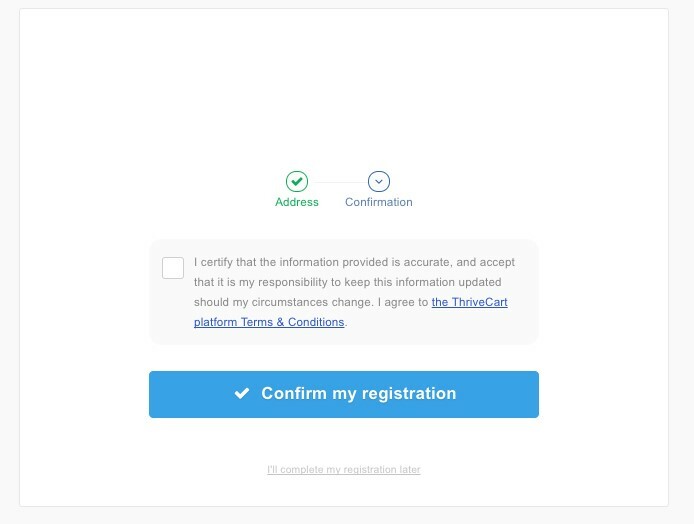 There are two ways that you can give ThriveCart permission to access your Paypal so that they can connect to PayPal’s API to track recurring payments. 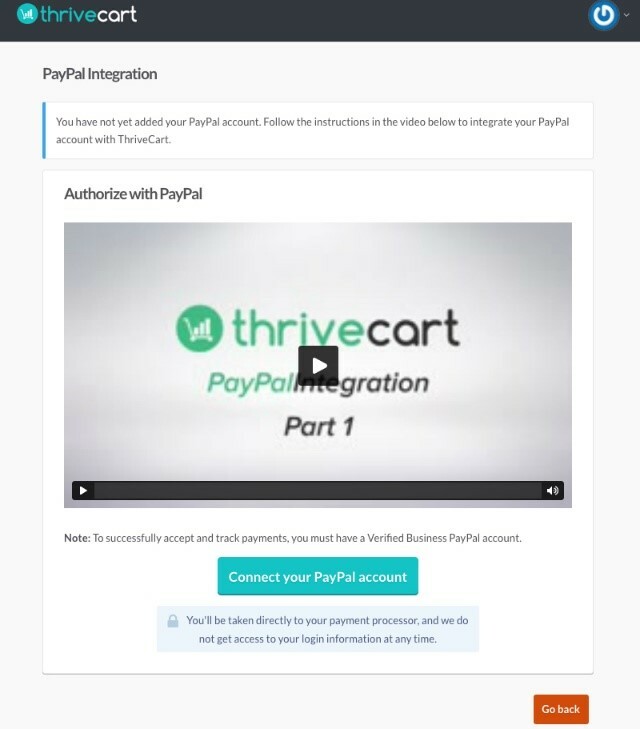 Step 1: Granting ThriveCart permission: Click on “Connect your Paypal account” button which is located inside the ThriveCart account, you will then be redirected to Paypal’s login. After you have logged in you will then need to grant ThriveCart permission to: create and manage recurring payments, use Express Checkout for payment processing as well as accessing your PayPal contact information. If at some point you want to revoke permissions regarding ThriveCart accessing your PayPal account, then all you need to do is click on the ‘delete’ button which is in the PayPal integration section of the account. Finally, return to ThriveCart and click on the “Yes, I have saved my IPN URL” button. Congratulations, you will now be redirected to the list of your PayPal account which has been integrated with ThriveCart. If you just finished integrating with Paypal, you might not be sure what to do next. 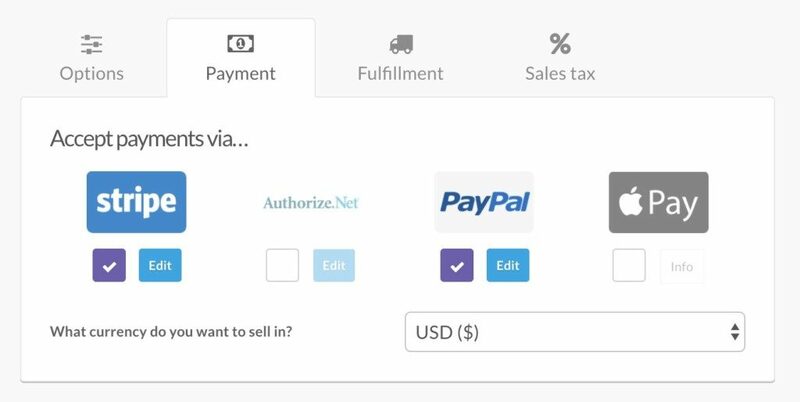 Near the top right-hand side, click on the gear icon, then click on ‘View for Integrations’, followed by ‘View Settings for Payment gateway integrations.’ You should now see the option of integrating with Stripe or PayPal. Select Stripe. As before, ThriveCart will not be privy to your Stripe login details. Click on the “Connect your Stipe account” button and sign in to Stripe. 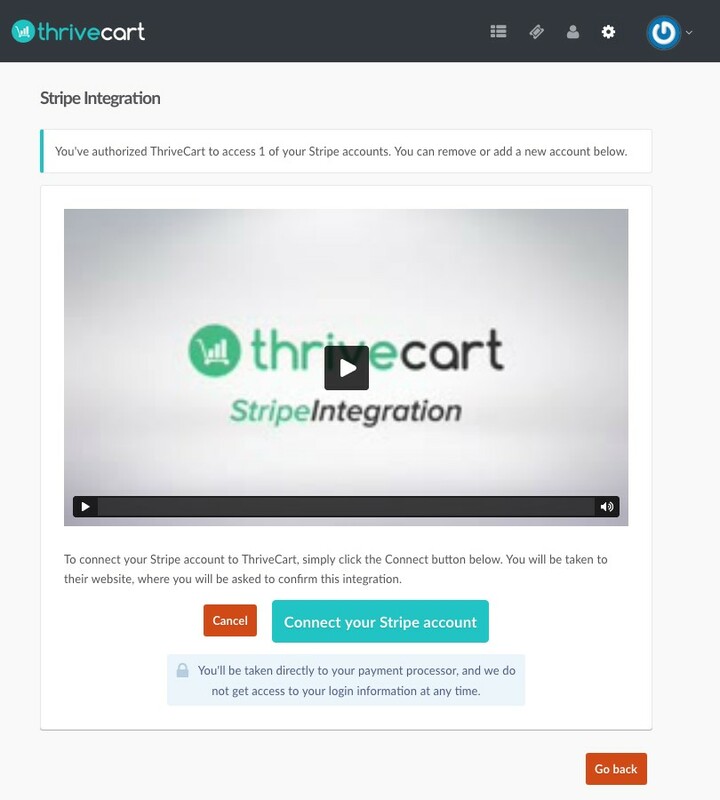 Click on the “Connect your Strip account” button which will allow ThriveCart to access to your Stripe account. 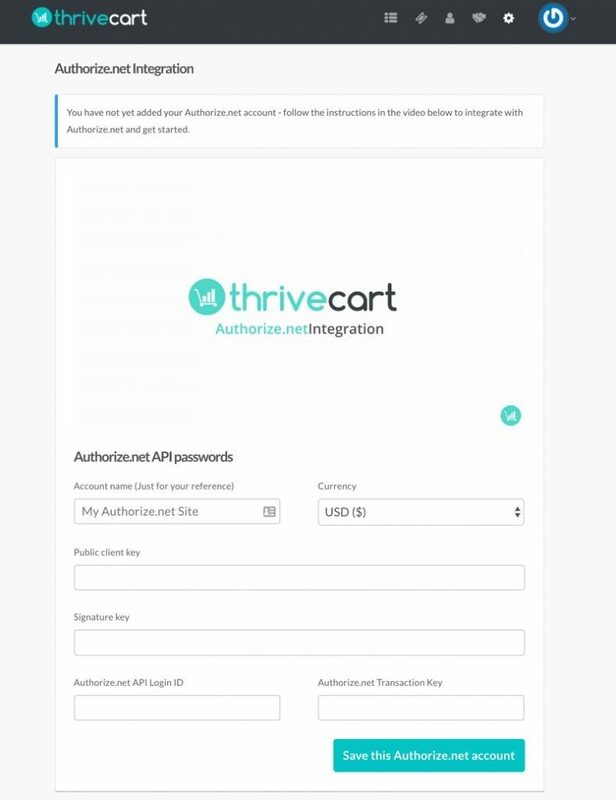 ThriveCart uses ‘OAuth’ to be able to connect to your Stripe account so that payments can be created for customers on your behalf. As per PayPal, to remove ThriveCarts access to the Stripe account just click on the ‘delete’ button which is located in the Stripe integration section of the ThriveCart account. Payment can be accepted via ApplePay. I was quite surprised to discover that Apple Pay wasn’t located in the gateway integration section. The reason being, because it is accepted via your Stripe account. Apple Pay is enabled on a product level basis, e.g., Product > Payment. Apple Pay will only be displayed on supported devices and for those customers who are using the appropriate operating system and who also have a card in their Apple Wallet. ThriveCart also has the bonus of added integration with the Authorize.net payment processor. There is one thing though, that needs to be kept in mind – when a payment is accepted via Authorize.net, only a single currency will be accepted. In this part of our review, we will look at the checkout templates that ThriveCart has to offer, how they can be customized and why A/B testing is so important in building up your brand. So, let’s, dive in and see how they did, ok? Checkout pages play a huge role in digital marketing – more than some marketers give them credit for. Visitors can easily be ‘lost’ between making purchases and the product selection itself. Plus, if the checkout process is difficult to use then, customers may opt to leave the site. What if the customer has mixed feelings? – They’re not sure if they really want to buy the product or service and are looking for some means of justification. This is where a professional and efficient checkout page comes into play – it can literally make or break the deal. 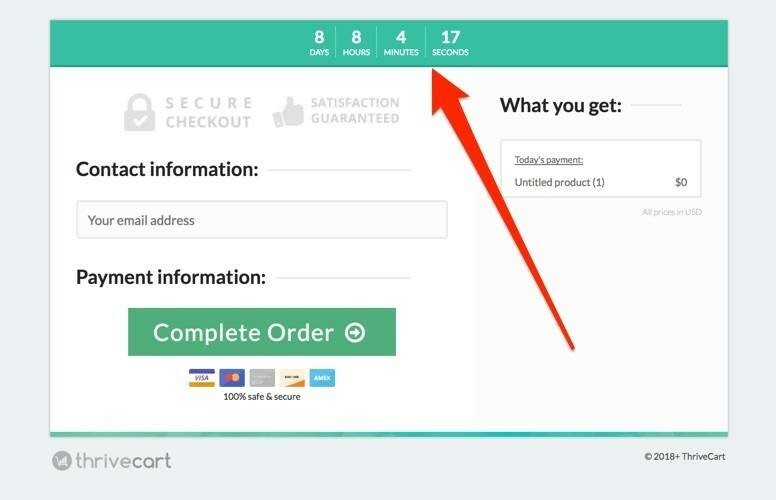 The main checkout pages that are hosted on ThriveCarts site are the tall one-step and the two-step checkout pages. Click to Tweet. Language: The checkout pages can be displayed in English, French, Italian, German or Spanish. Testimonial- Up to two testimonials can be added which include an image and the name. Background Color: ThriveCart provides a choice of 5 different background colors. Box Shot: Images that are correct for your products can be uploaded. Bullet Points: Up to 10 bullet points can be displayed on the checkout pages – this is a great way, to sum up, what customers are actually getting for their money. Video: Within the sidebar is the ability to embed the video codes. Always remember to keep them short and sassy. Buy Button: The ‘buy button’ come in various colors including blue, green, orange and red with the availability of 40 characters. Requested Fields: These are the fields that include the customer’s details and display the terms and conditions. Custom Fields: Get rid of drop-down menus and tick boxes by using these fields to include everything that you need and want to be collected. Chart Header: This is where images can be inserted to display the header. An added bonus is that you can also add a tagline to the top of your checkout page if you so wish. Countdown Timer: The countdown timer can finish on the date of your choice, even after the first visit. I would also recommend installing SSL certificates onto your website prior to using either the embeddable or popup checkout templates as this will cement customer trust and also reach out too many more customers, not to mention enabling them to pay in a safe and secure way. 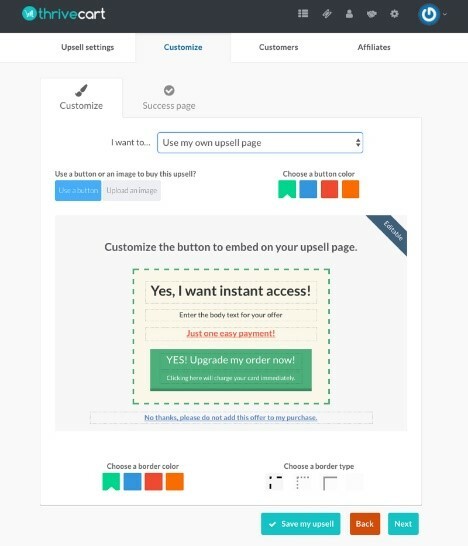 You can create new A/B testing using ThriveCart. What it will do is compare the two products to see which one the best at is achieving a specified goal. To create an A/B test, simply click on ‘Create A/B test’ and this can even be used on two Live Products. To create an upsell, click “Create A/B test.” Note: You can create A/B test if you have two Live Products- which is pretty neat. In this section, you will learn the importance of sending your customers to high conversion checkout pages. We will also have a close look at what upselling features ThriveCart offers to help you to increase your revenue. 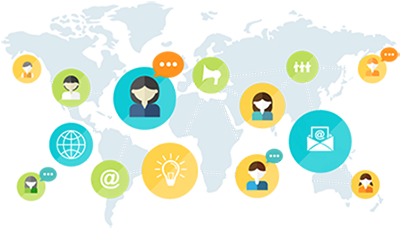 There are many ways in which you can communicate with your customers. You may want to keep them up to date with your products via social media pages, email or via a blog. Imagine having the capability to pre-sell to them via one platform, then directly send them to a high conversion check out page. Well, it all comes down to upsells, offers, 1-click upsells, coupons and loads more. Before I overwhelm you too much, I think the easiest way to explain these is by breaking them down into sections and explaining what each one does. I really love it when I see a product that I want to purchase with a coupon or discount next to it. It really makes me feel like I’m getting the best deal ever. The great thing about ThriveCart is that it will keep a coupon or offer on the product while the customer continues shopping, then they are able to return and make full use of the coupon. Of course, as your business begins to grow, you might decide to start using affiliates to help promote your services and products. This is where ThriveCart really shines. It has one of the most advanced affiliate systems that I have come across. You are able to control what product is promoted by each affiliate and create unique payment levels per product for each one. 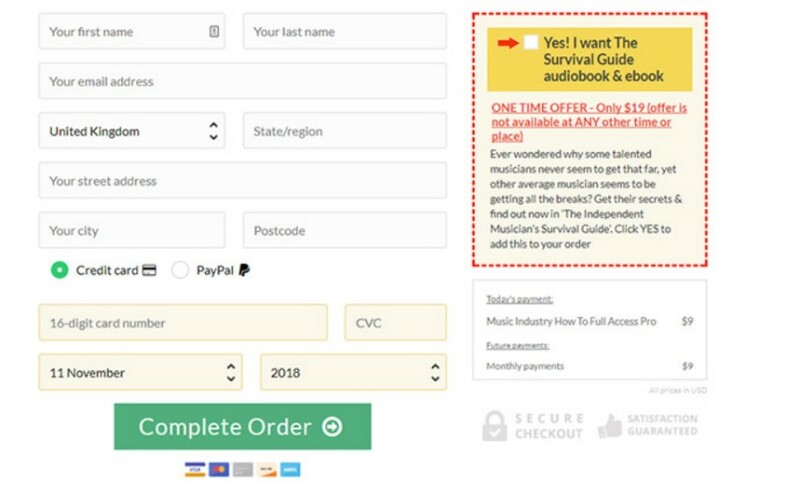 Not only do you get the standard affiliate links you also have the capability to create specific coupon codes that then link the coupon user to an affiliate. 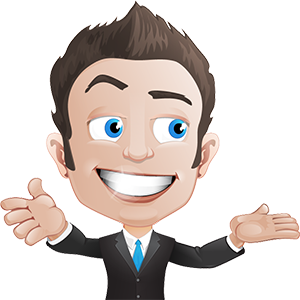 Also included is the normal admin and reporting affiliate center, plus you are able to set up your system so that an affiliate will receive an instant payment once a sale has been made (beats waiting the standard 30-60 days, doesn’t it!!). ThriveCart gives you the capability for both single and subscription payments- which means that your customers will never need to pay double for the product that they are purchasing. There won’t be any issues at the payment gateway either, as ThriveCart also lets you pay on a subscription basis. 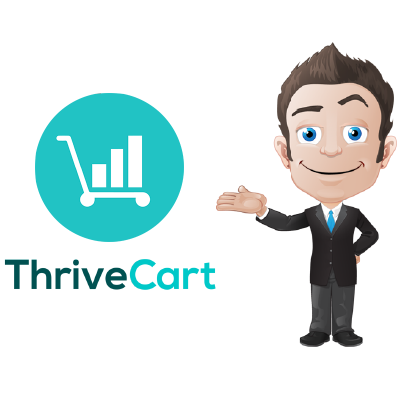 ThriveCart includes a one-click popup cart, which means that customers can view their carts with one click and see all items that have been added to it. With simply one click, users can add times to their cart that they wish to purchase, and you are able to add products to sell – it couldn’t be easier. ThriveCart also includes a funnel builder feature. The funnel is basically a consumer-focused marketing model that displays theoretically, the customers purchasing process. ThriveCart also includes webhooks. This is a method of changing either the web page or application using custom callbacks, which can be modified by third-party developers and users who are not linked to the web application or page. Now, these are products that can either be offered, included, upgraded or can be add-ons to the sales funnels once a customer has bought a product. Creating ‘upsells’ is very easy, using ThriveCart. So, click on ‘create new upsell.’ You will see that the sections which are Customize and Customers and Upsell Settings. You can customize the upsell pages as well as view the upsell together with current products. This includes general information such as the product name, price, type and trial period. This is a tab where the upsell template can be customized and where the success page link can be added. 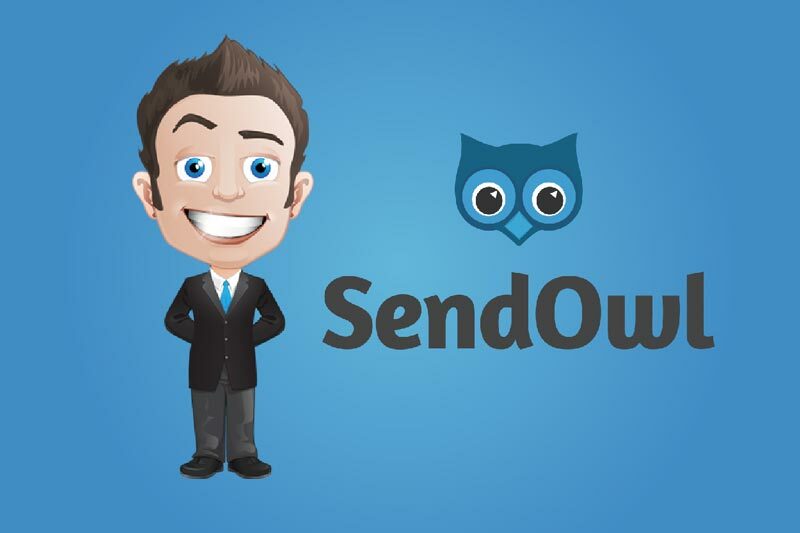 This is where your autoresponder can be added together with the tracking codes, once the downsell has been saved. If an upsell is declined, these are the products that can be offered instead. To create a downsell, click on ‘create new downsell,’ again you will see the sections Customize and Customers and Downsell Settings. The downsell can be previewed with current products plus the downsell pages can be customized. This is where the downsell general information is housed, such as the product name, type, price, and trial period. This is where you can customize the upsell template and where the success page link can be added. This is where the autoresponder can be added and where the tracking codes can be included after the downsell has been saved. Use an image or buttonto buy the upsell. This section delves into the importance of choosing a tool that will work with your current stack. I know how long it can take to create stacks of technology to suit your needs, and then the disappointment of discovering that the tool that you have so carefully selected, well, simply won’t work! So, in this review, we will look at what integration options ThriveCart offers so that you can be certain that it is the perfect shopping cart software for you. Sound ok to you? Great, lets dive in. When you choose a shopping cart, it is essential to ensure that it is able to be integrated with any systems that you may use. 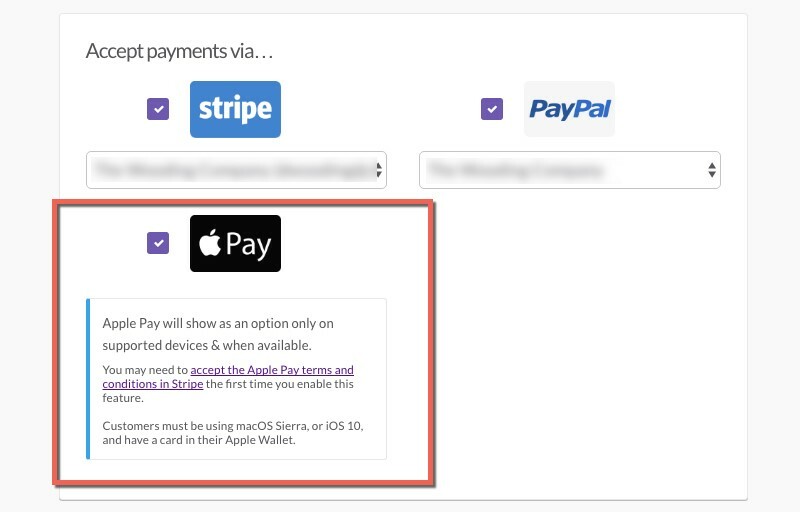 As I mentioned previously, payment wise, ThriveCart is integrated with payment platforms including PayPal, Stripe, Apple Pay and Authorize.net. But what about with your email system? Well, fortunately, ThriveCart integrates with a majority of the major email systems including Aweber, Active Campaign, Drip, ConvertKit, Hubspot, GetResponse, MailChimp, Infusionsoft, and Ontraport. Click to Tweet. For notifications it integrates with Slack, webinars with Demio and for DVD/CD fulfillment with Kunaki – pretty impressive eh? So, on a basic level, you will be looking for the ability to add any new customers onto your email list, but in an ideal world, you probably want more. If you are already using an advanced email system such as Drip, Infusionsoft or Active Campaign (to name but a few! ), then rather than simply adding customers to a list you will no doubt want to add automation to them or tags. What I really love about ThriveCart is the vast number of things that can be done using the integrations. For example, when integrating with Active Campaign you are able to add to automation, lists, and tags depending on what action a customer takes. So, basically, any action can be triggered in your email systems for most activities that customers do when using your cart relating to their payments. If you run a membership system, then having the ability for your cart to create new users automatically with the correct access is vital. If instead, you run a system that is tightly integrated with your email system such as Memberium, then integration with your cart isn’t necessary. The membership systems that ThriveCart integrates with are Membermouse, Digital Access Pass, Wishlist Member and Optimizemember. On top of that Zapier is also built in with ThriveCart, which means you are able to utilize it to integrate with external membership platforms such as Thinkific and Teachable. For me, the type of support that a company offers can really be the deal breaker. I consider it to be one of the most important features when choosing software. I want to know, that when (not if!!) I need help and support that it will be there, quickly and easily – especially when I’m paying for it!!. So, let’s find out how good ThriveCarts support really is!! The great thing with ThriveCart is that whatever the issue, be it a technical or sales related, the support team are both helpful and supportive. ThriveCart mostly uses Zendesk for their support which means that you have access to a team of professionals that can be contacted 24/7, which is something that gives me great comfort. ThriveCart also has an active Facebook community which is something I love, and the ticket response times are extremely fast. Well, that’s it I’m now nearing towards the end of this review, and I hope that it has given you an overall idea what ThriveCart has to offer. I’m guessing that the final and most important question is though is – Is it THE ONE, I mean is for YOU and your WEBSITE? 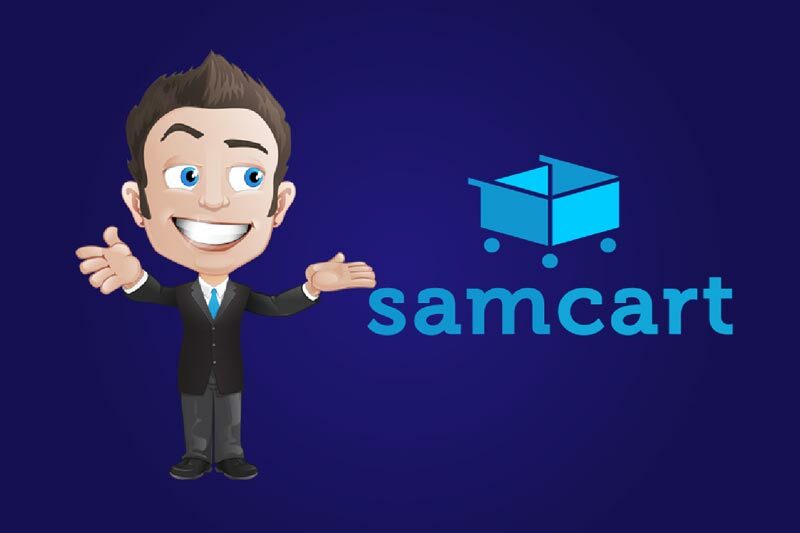 If you are in the market and looking for a cart solution that is of the highest level, then the answer is simply ‘yes.’ When you compare it to its direct competitor, SamCart, it does steam ahead both on price and features. Businesses that are looking into selling either physical or digital products are definitely onto a winner with ThriveCart. Now, with that in mind, for users that don’t have the need for every available feature – and let’s face it, many businesses don’t, then there are cheaper alternatives out there. For example, if you are already using ActiveCampaign, then you could use ActiveRelay for $49 per month, plus they also offer a 15-day free trial. Infusionsoft, for instance, has most of these capabilities already built in, but I know for a fact that many of these users still opt for ThriveCart because of its simplicity and ease of use when setting up checkout forms, etc. I hope you have enjoyed this review of ThriveCart and if there is anything that I have left out, why not let me know in the comments below. Thanks for this thorough a fair review, very helpful as I try to get objective information about these various software options. Thank you Daniel, I’m glad you enjoyed the review.